Gov. Ron DeSantis wants to fund the Florida Department of Corrections next year at $2.7 billion, a spending plan that has some criminal-justice reform advocates pointing to struggles facing Florida’s prison system as a result of increased health-care costs. Following litigation, the state needs to meet court mandates requiring it to provide better treatment for inmates with Hepatitis C, mental illnesses and disabilities. Those issues, mixed with an aging prison population that is driving up health costs, has led DeSantis to propose a $120 million increase to cover inmates’ health care. “The story this budget tells is that we are simply funding the mandated costs of court orders and trying to keep the lights on in the prison system,” said Sen. Jeff Brandes, a St. Petersburg Republican who chairs the Senate panel that oversees prison funding. The blueprint of DeSantis’ spending plan for the Department of Corrections, roughly 3 percent of the entire budget, includes $14 million for increased costs of pharmaceuticals, $37 million to better treat inmates with Hepatitis C and $86 million to enhance contracted inmate health services. While those issues total $137 million, the overall increase would be about $120 million because the budget proposal also would cut some spending included in the current year’s budget. While the state deals with increased pharmaceutical costs, DeSantis has directed Corrections Secretary Mark Inch to explore various strategies to drive those expenses down, including further negotiations with pharmaceutical companies and bulk purchases, according to language in the proposed budget. A lot of those costs stem from litigation brought by attorneys for the Florida Justice Institute. A federal judge found that the Department of Corrections had failed to treat prisoners with Hepatitis C despite the fact that medications had been available. The court also found the lack of treatment was due to financial issues. 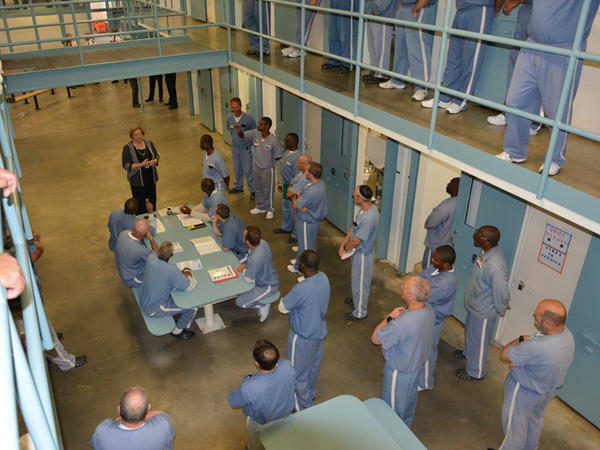 With the 2019 legislative session starting March 5, Brandes has been sounding the alarm about the prison system being in “crisis” as a result of a prison guard shortage, increased contraband in prisons and a rise in officer-on-inmate violence. 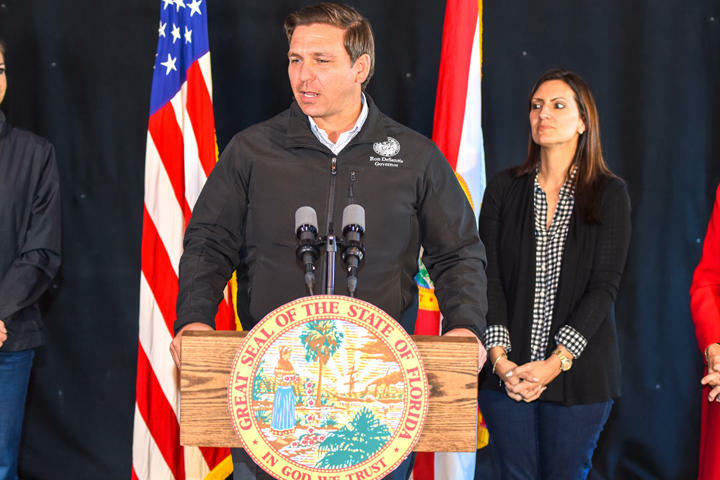 DeSantis on Friday proposed an overall $91.3 billion budget for the 2019-2020 fiscal year, which starts July 1. Lawmakers will use the governor’s proposal as they negotiate a final spending plan this spring. Other parts of the criminal justice system that are funded by the state include the Department of Juvenile Justice, which DeSantis wants to fund at $602 million next year, about $437,000 less than the current year. DeSantis has appointed Simone Marstiller to head the juvenile justice department. In the past, Marstiller has been a vocal proponent of putting more focus on rehabilitation instead of incarceration, as well as giving discretion to judges to depart from mandatory minimums in sentencing. Christian Minor, executive director for the Florida Juvenile Justice Association, was pleased to see the level of funding DeSantis proposed for prevention, intervention and residential services in the upcoming budget. As a congressman, Ron DeSantis carved out a name for himself railing against Medicaid spending. Gov. Ron DeSantis’ state budget proposal puts $50 million dollars toward Florida’s ailing springs, even as existing springs money sits unspent. Florida Gov. Ron DeSantis says he wants to overhaul the state's school standards in the next year.